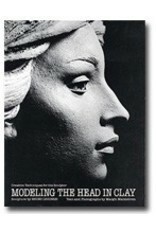 One of today's best known classical sculptors Bruno Lucchesi, demonstrates his personal techniques for capturing the elusive and compelling features of the human head and face. 160pp. 250 B&W illus.